A century ago, Catalina Island was a seasonal destination. From Labor Day to Memorial Day, visitors were few and far between and services for them were nearly non-existent. 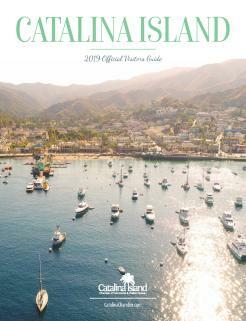 These days, visitors will discover a full array of Catalina activities and adventures waiting for them year-round. Here are our top 15 things to do on Catalina Island when it’s hushed and unrushed. Hiking - Not only do cooler temperatures make hiking on Catalina Island even more appealing, winter weather brings the island to life, with just a little rain required to infuse the normally golden hills with verdant vibrancy. The Catalina Conservancy’s new Trekking Catalina initiative showcases dozens of miles of new and upgraded trails. The centerpiece of Trekking Catalina continues to be the TransCatalina Trail, a spectacular trek through 20+ miles of rugged island terrain that rates as one of the top Catalina Island adventures. Take a walk -- Not quite up for taking on the Trans-Catalina Trail and the rest of the trails that make up Trekking Catalina? Avalon’s picturesque waterfront, charming streets and scenic hills provide the perfect destination for getting out and getting moving. Visit some of the top Catalina Island attractions on your walk, including the Catalina Casino, Wrigley Memorial & Botanic Garden and Descanso Beach. See a movie -- Going to the movies on Catalina Island is much more than just seeing what’s on the big screen. Located on the main floor of the Casino building, the Avalon Theatre features spectacular art deco murals, a dramatic star-studded ceiling and a century of history -- plus nightly first-run movies. Dine out -- One of the many benefits to visiting the island when it’s hushed and unrushed is dining in one of the many restaurants on Catalina. Ocean views, fresh seafood and culinary creativity abound -- all without the hustle and bustle of the summer season. Experience the interior -- No matter how you get there -- by bike, foot or tour bus -- a visit to the interior should be high on everyone’s list of things to do on Catalina Island. In the late winter and spring, rains inspire wildflowers to erupt in a colorful display that transforms the island. Golf -- Catalina’s nine-hole golf executive course offers an alternate set of tees to create a challenging 18-hole course in the canyon above Avalon. Looking for something more light-hearted? Shaded by giant eucalyptus and creatively designed, the Avalon Golf Gardens is an old-school mini-golf course that has brought family fun to Catalina visitors and residents alike for generations. Catalina Island Museum -- One of the newest Catalina attractions includes expansive exhibit space for permanent island history exhibits, compelling temporary exhibits as well as can’t miss Catalina events. 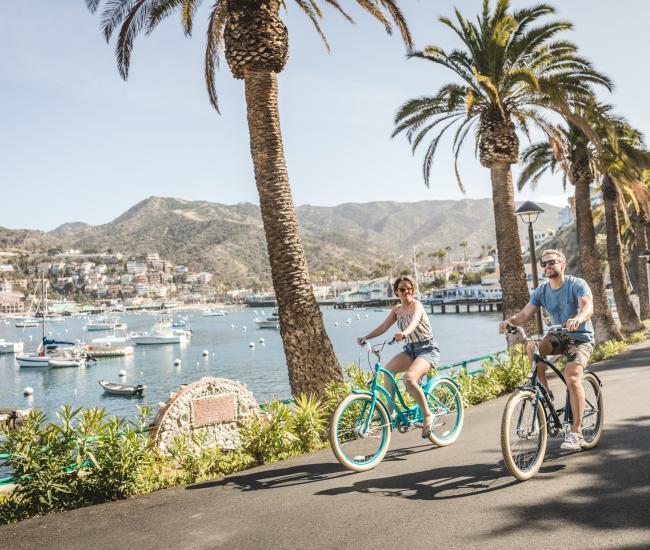 Bike -- Biking on Catalina Island provides a gamut of possibilities, from high-adventure mountain biking in the interior to tandem bikes in Avalon perfect for couples. See Whales -- While many whale species, including blue and humpback whales, can be seen in the summer, the winter months are prime time to spot gray whales, which migrate between their summer feeding grounds in Alaska and their winter breeding grounds in Baja. Camping -- Camping on Catalina Island has long offered an adventurous alternative for travelers. Campgrounds range from tent cabins near Avalon to isolated beaches on the island’s windward side. Volunteer -- From an underwater cleanup to supporting athletic events, winter brings a number of Catalina events that require the hard work of volunteers for success. On-going volunteer opportunities include beach clean-ups, cultivating native plants and week-long volunteer vacations. Relax -- Catalina’s undiscovered season provides the perfect excuse for a truly relaxing vacation complete with a good book, a nap and a massage -- or two. 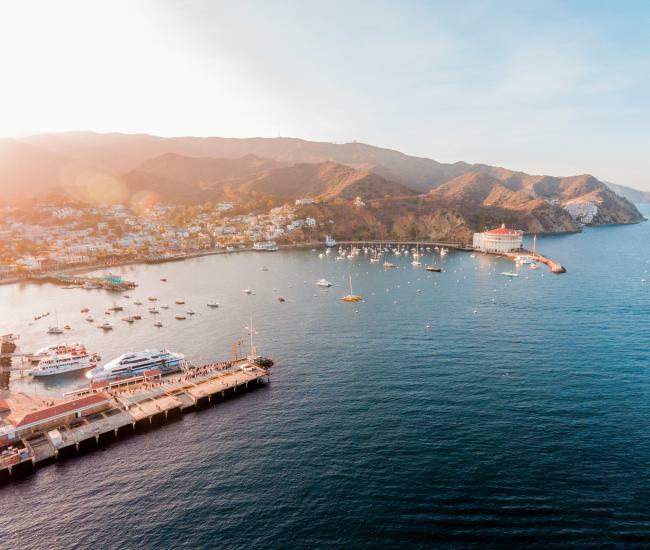 Run -- Throughout the year, Catalina offers endurance athletes an array of competitive opportunities, including marathons, a triathlon and a 50 miler. Whether you choose to challenge yourself against other athletes or simply challenge yourself, the island’s rugged terrain is ideal to push your fitness goals -- especially when cooler temperatures beckon in the winter and spring. Ready to face off? 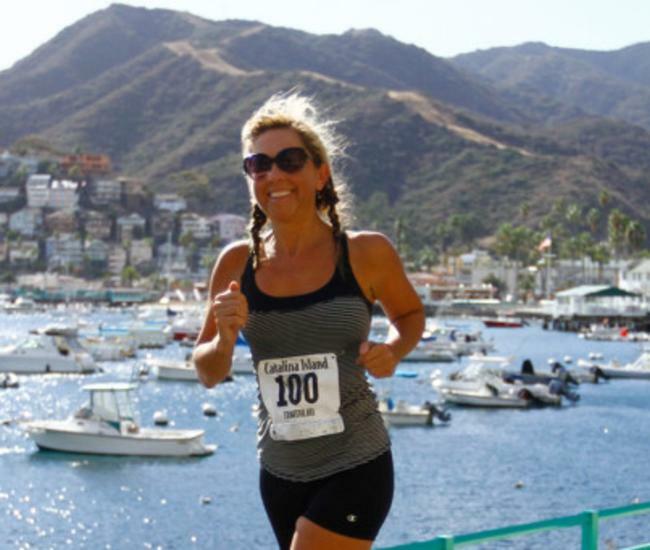 The Catalina Island Marathon is scheduled for March 10. Go Green! The City of Avalon on Catalina Island has made several environmentally friendly decisions recently, including a ban on polystyrene containers and a continuing dedication to reducing fresh water usage. You&apos;ll also find another opportunity to Go Green on St. Patrick&apos;s Day, when local watering holes host an array of shenanigans. Get adventurous -- With world-class hiking, scuba diving and kayaking, not to mention parasailing, a zipline and spectacular sports fishing, the island attracts adventurers from around the world. Catalina adventures beckon -- plan your off-season getaway today by clicking here.